Bob was an excellent tour guide. 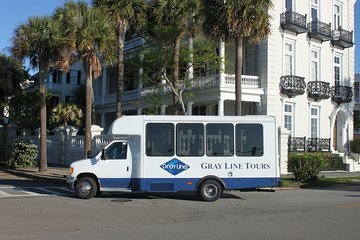 Have been to Charleston many times and learned a great deal more about the city and history on this tour. This was a great way to see the city on a hot, humid August day. We drove by many sites and learned about Charleston's history. Our tour guide was knowledgeable about the sites. The bus tour was really interesting. Our tour guide was so kind. She did talk a lot, which I missed some important details during the tour because I wasn't sure if she was just talking to the group and talking about a history tidbit. We did love the ticket to house,which you can get on your own. To save time, I bought the ticket through Viator. We used our House ticket to see the Charleston Museum instead, which we are glad we did because the museum is absolutely fascinating. It's the oldest museum in North America -- a MUST-SEE in Charleston. It includes history from the pre-historic era to Civil War to Medical. It even has an area to try on vintage dresses. Not a bad way to get around Charleston. The bus is comfortable. This was my first visit to Charleston. I was on a cruise and timing was everything. My hour and a half tour provided an excellent introduction to this charming city. Our guide was very knowledgeable. His pride in all that he showed us was evident. Our bus was clean, modern, comfortable and with great visibility. The audio was clear with perfect volume. Future cruise stops will include a Viator plan. Good way to visit this very old home. Tour guide was great and added a lot of history to our tour. The Charleston Tour with the Optional Joseph Manigault House is well worth the money. The tour is very jam packed. The tour guide was very knowledgeable. The ladies who acted as docents at the house were not only knowledgeable but gracious. The house is amazing. Especially when one takes into account its sad history after Mrs. Manigault left it once her husband passed away. The communities in Charleston are vibrant. The homes are beautiful. The Battery in particular is incredible. 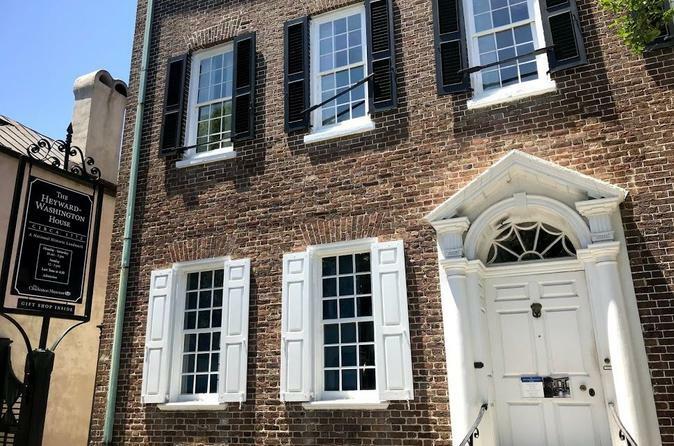 The tour stopped and mounted a wall and we were able to hear about both the Revolutionary bombardment and capture of Charleston as well as its American Civil War History. As a descendent of soldiers who died in the Charleston area it was fascinating to hear the harrowing story of the men who fought and died there. We even visited two former red light district areas from the 1840's and 1850's. The churches are a fascinating antidote to a rich and sometimes libertine heritage. The four corners of laws - religious, state, federal and local was also interesting. Well worth every cent. But parking can be a chore. The tour was great! Guide was very knowledgeable and had some great stories along with the history of the landmarks and neighborhoods we toured. Manigault house tour was a bit disappointing because the upper and lower levels of the house are closed to the public. It would have been great to see the kitchen and areas where the help stayed. The guide was very good and told us about the other levels but without seeing them it was hard to imagine. On a whole well worth the money and a great way to get a feel for the history of the whole area. This was not as advertised. I was under the impression from your blurb that this tour made stops. It made one stop by the river front. Iwas looking forward to going into the market. I would not recommend this tour. First thing the bus is not set up to do a city sight seeing tour. Pulled up to sites and we were unable to see a thing. Second, air conditioning was not working on bus, which made it very uncomfortable as it was 90 degrees. All and all not worth it.